Southern India and Sri Lanka’s winter months provide unique opportunities to look deep, across ridges and forested valleys to ranges of hills that are normally obscured in clouds and haze. The retreating North East monsoon leaves the hills lush and the air washed clean just as temperatures drop to relatively low levels. People unfamiliar with the area can sometimes be surprised at the grandeur of the southern Western Ghats and neighboring Central Highlands of Sri Lanka. Viewpoints and high mountain peaks in Kodaikanal, Ooty, Nuwara Eliya and other places are the best terrestrial places to take in the landscape. Timing is everything and most of these same places mist up while dust and pollution on the plains rises up in the afternoons. 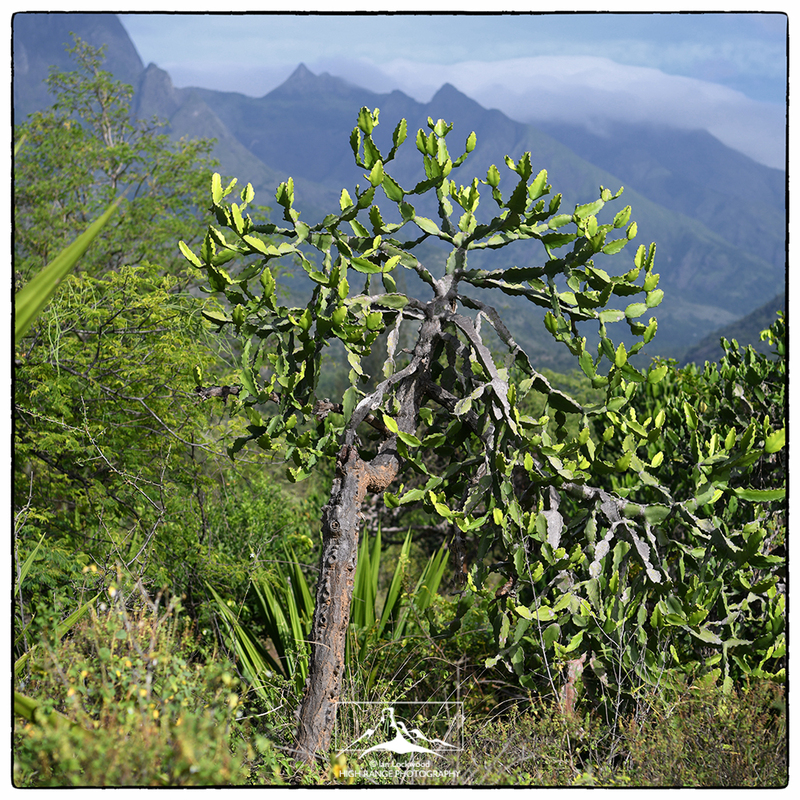 An ideal way to appreciate the mountains in this biodiversity hotspot is to fly over or alongside the mountains. 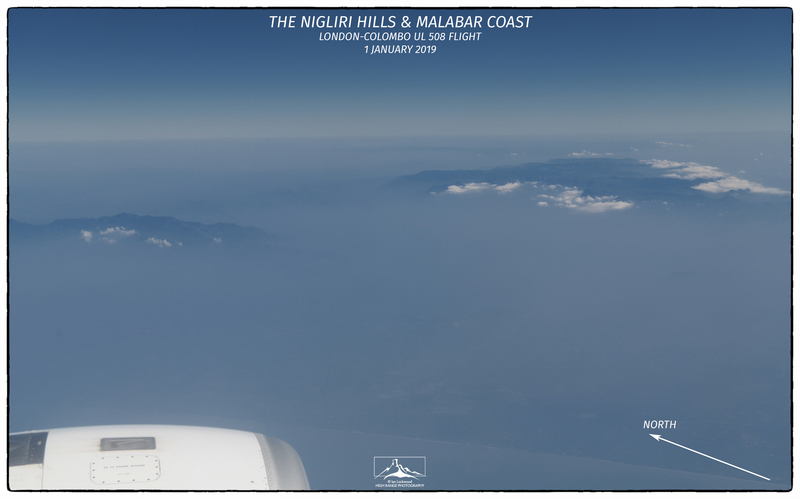 My family and I had the good fortune to be on a London-Colombo flight on January 1st just after the sun had risen over the Nilgiri Hills. 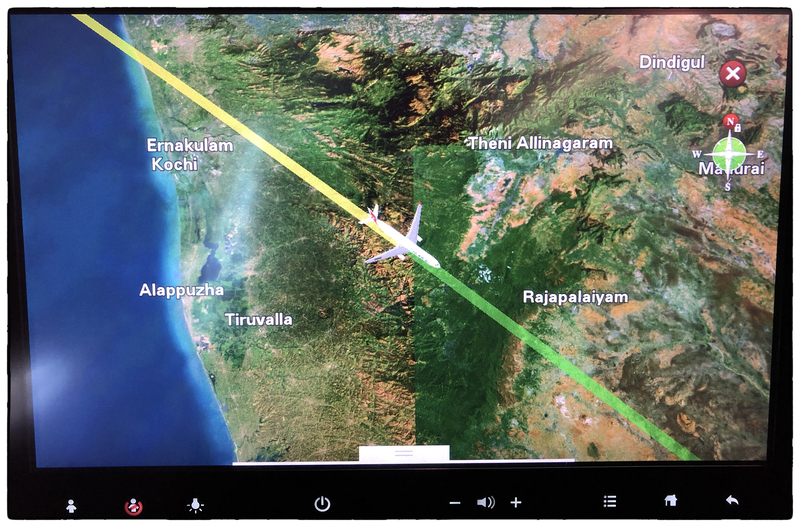 Our plane crossed southern India just north of Cochin (Kochi) and then traversed the Cardamom Hills giving the left side a fine view over the High Range and Palani Hills (see flight path image below). Just 24 hours later I flew on a different flight to Madurai for a short visit to Kodaikanal and the Palani Hills. 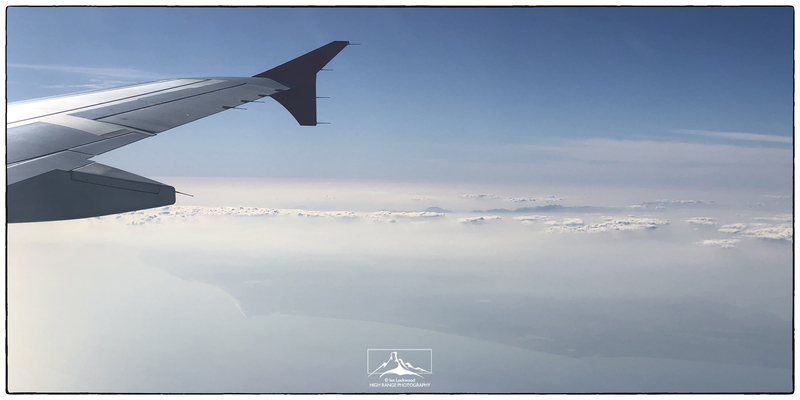 The snapshots in this post were taken from the flights and this short trip. Later on the month I led students to the Central Highlands – the subject of an upcoming post. I also worked on processing several raw Sentinel data files last year of the same area (used in the Hills of Murugan exhibition). The common denominator of these experiences was the crisp clear air and unique opportunities to appreciate and document sublime landscape. Sky Islands as seen from the southern escarpment of the Palani Hills. The distant ranges include the Highwavies (Megamalai). 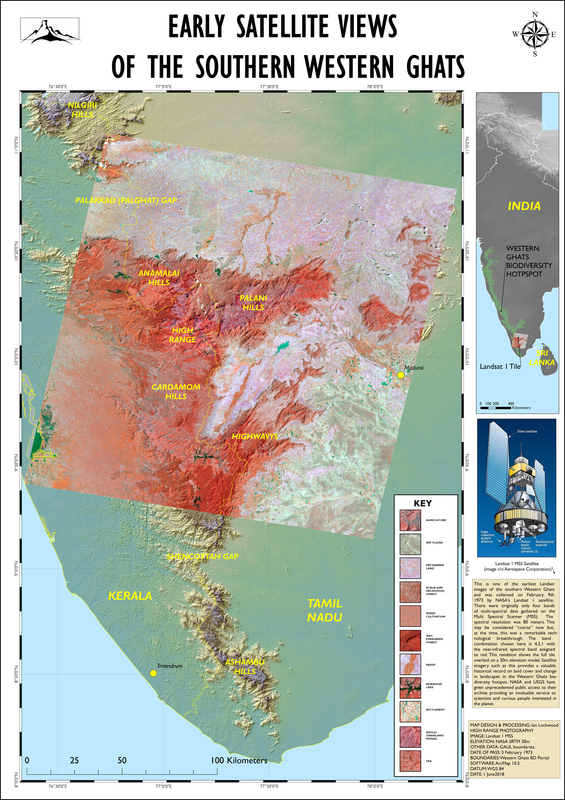 The Agamalai range is just over the Vattakanal-Vilagavi ridge. Birds of the Palanis on granite slab- a part of KIS’s soon-to-be opened environmental education center at Swedish Hill. Danish on Cloud Land’s Peak for sunrise. Perumal peak is on the center left of the image. After sunrise…South Indian breakfast featuring pongol, vadai and the Hindu. Lockwood, Ian. 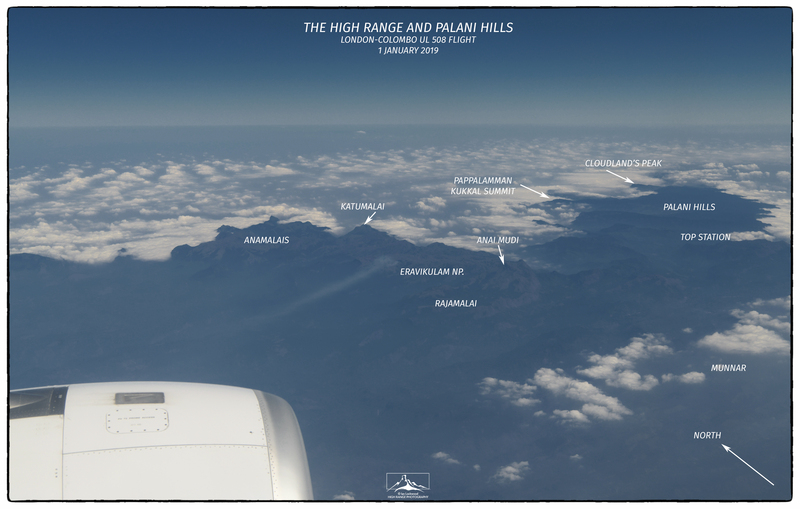 “Palani Hills from the Air.” Ian Lockwood Blog. 22 April 2010. Web. Amer and Mohan skillfully putting up some of the last of the 32 frames in the Varija Gallery at DakshinaChitra on the morning of July 6th. DakshinaChitra’s Vajira Gallery hosted The Hills of Murugan from July 6th-30th. 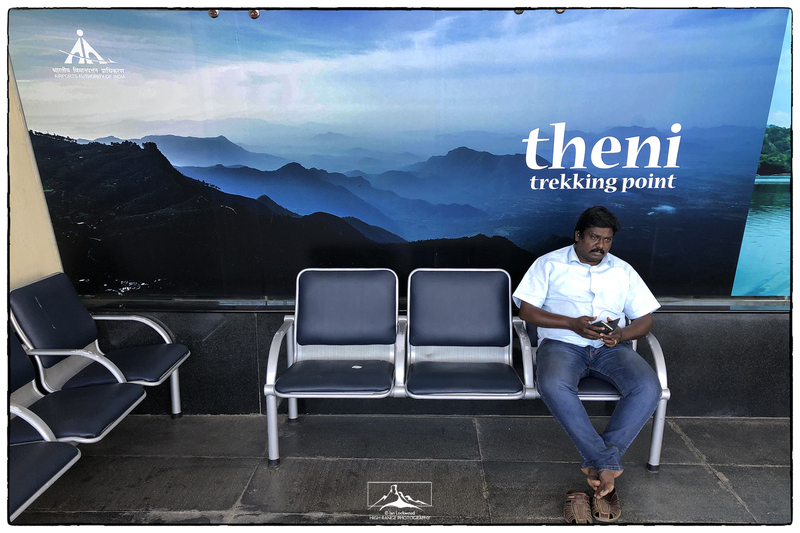 The solo exhibition highlighted themes of changing landscape and vegetation patterns in the Palani Hills as seen in photographs and satellite imagery. The choice of Chennai, the capital of Tamil Nadu, for this show was important. I expected that most visitors would be familiar the Palani Hills as a site of the popular hill station of Kodaikanal but that few of them would be aware of the degree of ecological change taking place in this sensitive Western Ghats landscape. The exhibition received good press coverage and seem to appreciate the choice of black & white fine art prints and conservation-centric approach. The idea that significant ecological change is happening in our own lifetimes was an important message to share with the audience. 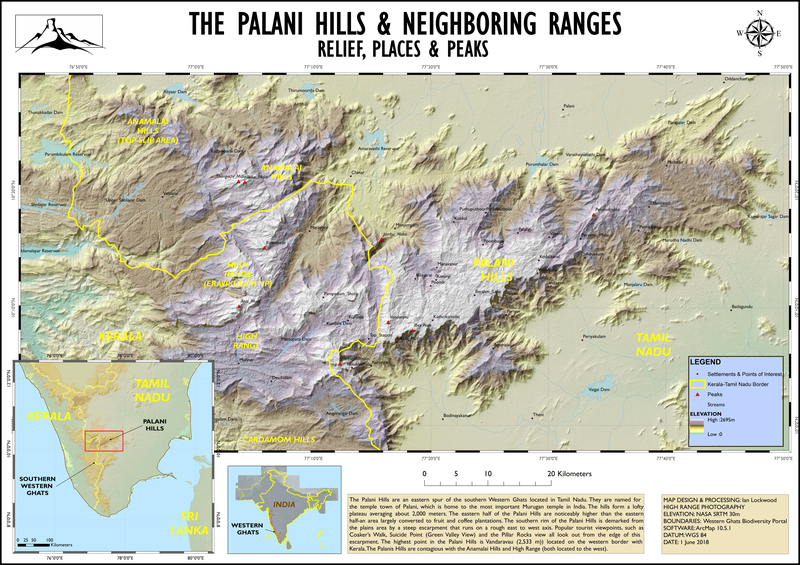 The choices of images highlighted undistributed aspects of the Palani Hills, scenes of tree ferns and water and shola/grasslands systems. These were followed up with images of non-native timber plantations agriculture, hill station expansion and other signs of modern human impact. The final images emphasized scenes of hope: restoration work by the Vattakanal Conservation Trust and the tenacious shola species taking seed under a canopy of eucalyptus. 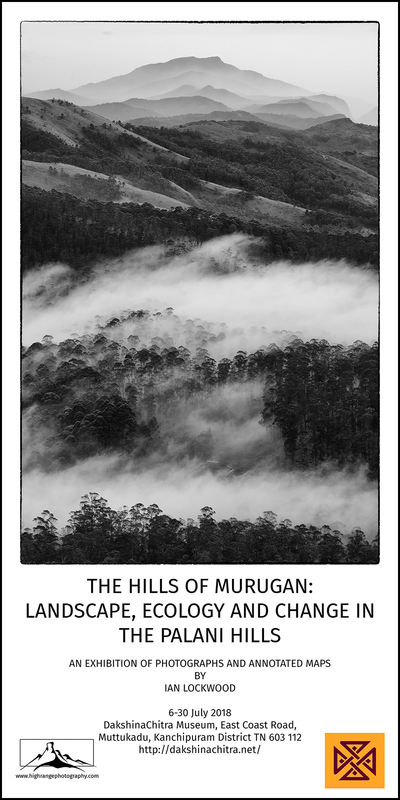 My principal medium continues to be black & white imagery and in the Hills of Murugan the main gallery featured 32 fine art prints originally exposed on film and digital cameras. Karthik V’s superior printing helped deliver the kind of exhibition print experience that I had envisioned after my training with George Tice at the Maine Photographic Workshops. Focus Gallery did a fine job with the framing and presentation. I supported the educational objectives of the show with a second gallery of color images, annotated maps and illustrated information posters. 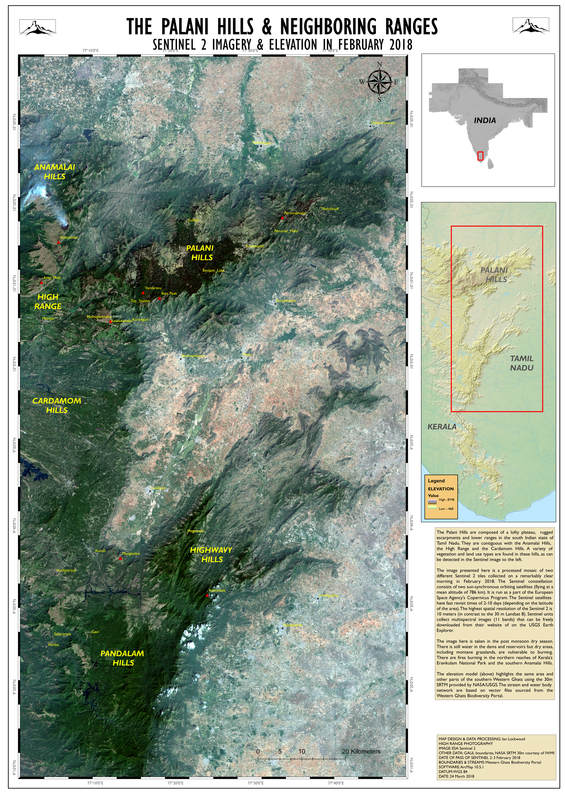 The maps were created on ArcGIS using a variety of data sources including Sentinel 2 and Landsat data as well as high-resolution elevation models. I included a poster highlighting the work of the montane grasslands group and, in a sense, the exhibition was a visual experience highlighting the themes of this study. Drawing out a kolum at the Varija Gallery on July 6th. Oil lamp in the Varija Gallery. DakshinaChitra’s central space used for cultural performances by artist troupes. Loading the frames at Focus Gallery in downtown Chennai. Fancy Chennai transport with the artist checking on the placement of the 32 frames. Amer carrying the first frames into the Varija Gallery at DakshinaChitra. Information posters being prepared to be hung in the interior gallery space. Raina, Lenny and Amy and I were there a few days ahead of time to pick up the frames and get things organized. We enjoyed being part of the DakshinaChitra community and participating in the ebb and flow of their days. DakshinaChitra’s team worked hard to get the space ready and then hang the show. Sharath Nambiar, the deputy director helped organize our accommodation and the repainting of the gallery. The final picture hanging was completed by Amer their multi-talented gallery supervisor. The opening on the 6th proceeded on schedule, though we were disappointed not to have Rom Whitaker to help inaugurate the show (he and Janiki were stranded in Chengalpattu when their car broke down the morning of the exhibition). There were, however, several friends working in conservation who joined us for the opening. Robin Vijayan and his team of students and friends from the nascent Bombay Shola field station hosted at KIS were in attendance. That included Arasumani the principal author of our grasslands study. Vasanth Bosco from the Nilgiris, who was with me on a memorable Kukkal adventures features in the show, came out. Karthik V., who did the fine art printing and his colleague Suresh Menon were in the audience. We lit a lamp, said a few welcome notes and then I gave an illustrated talk on the themes of change in the landscape and ecosystems of the Palani Hills. Information posters: Landscape, Ecology & Change. Better Photography July 2018 cover with exhibition coverage. Inside of Better Photography (July 2018) cover with exhibition coverage. DakshainaChitra’s news bulletin board sometime in early July 2018. Ecologists in the audience: the artist with Arasumani, Vasanth Bosco, Robin Vijayan and Vijay Ramesh and others. Lockwood, Ian. “Fine Art Photography as a tool for Education & Conservation.” Better Photography. 2 July 2018. Print & Web. Lockwood, Ian. “The Hills of Murugan.” Sanctuary Asia. August 2018. Print & Web. Exhibition poster fo the Hills of Murugan.